So preparation for Leiths has began and brought with it Bake Off style military precision sub divided into weeks. This week was egg week. My thoughts behind this dish was a way to try out poaching eggs without boring them having already experience fried eggs and omelettes that week. Something distinctly light (there had been a lot of carbohydrates in bread week the week before) but tasty and using up the random ingredients strewn in the fridge. 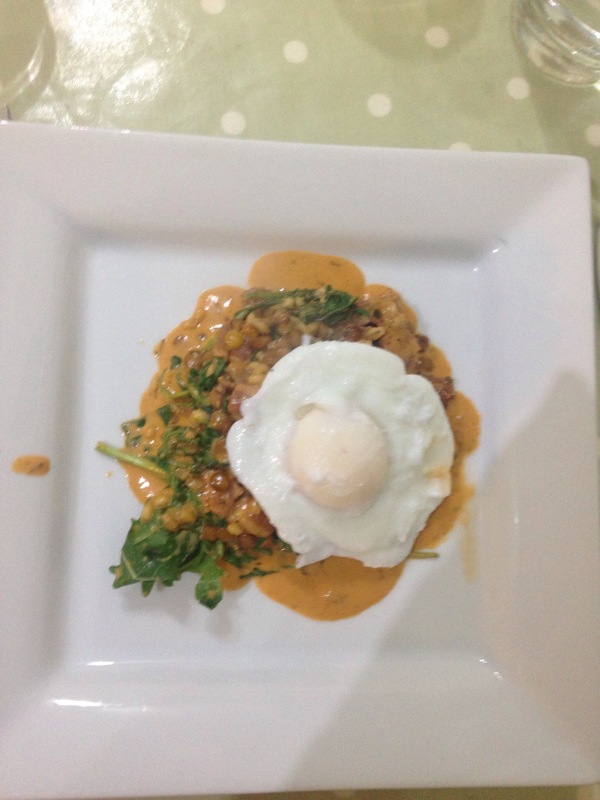 I present to you bacon, lentil creamy, warm salad with poached eggs. You might understand why I gave it a shorter name, but trust me it is delicious. 1. Brown 6 rashers of bacon in 1tbsp oil until crispy. Mix in 4tbsp lentils and 2tbsp pearl barley. Add 1tsp each of rosemary, thyme and oregano. Mix in 1tbsp tomato puree, 1tbsp red wine vinegar and 300ml beef stock. Simmer for 10-12mins until reduced. Stir in 3tbsp cream and set aside. Meanwhile bring a pan of water to the boil. Take 2 eggs out of the refridgerator and break into 2 bowls. Poach one at a time by creating a whirlpool in the simmering water and gently dropping the egg into it so the white binds to the centre of the egg. Cook for 2mins and remove with a slotted spoon onto paper towels . Check the lentils for seasoning and stir through a handul of watercress. 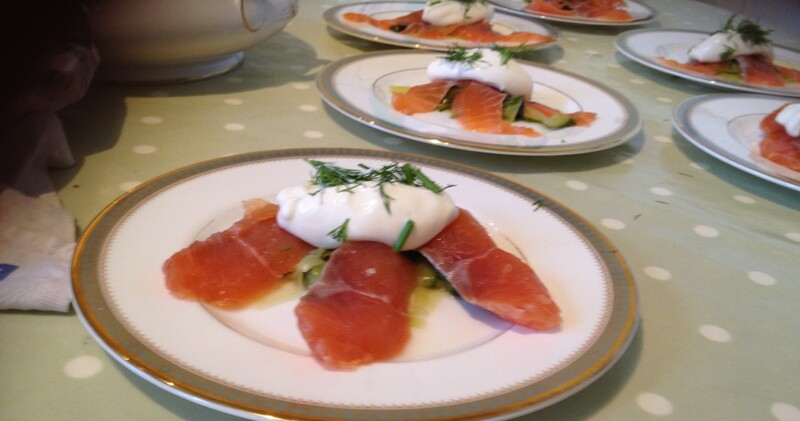 Place in the centre of2 plates and top with 1 poached egg each. Serve.